They charged my joining fee on first month statement and its sad that they will issue Gift voucher only after 28 days of payment and they will take another 15 days to deliver the voucher. Typically it takes almost 2 months for you to have hands on the gift vouchers from the date of applying the card. That’s way too long. Customer service experience is equally good. If you need to talk to customer care, all you need to do is drop a message and you get a call within 24 hrs. Infact they called me within 12 hrs when i raised a request. Loved the speed. This beats hdfc regalia by 1% in savings which is one of my most favorite card for quite a time. The best part is that i can convert RP to cash credit against my statement. There are hardly few cards in India that has such cash redemption options. Another excellent offer here is that you are eligible for complimentary movie tickets worth Rs.500. Unlike other bookmyshow buy1get1 offer, this is little different. If customer buys 2 tickets and each tickets is for Rs 300. Total transaction value will be Rs. 600. Discount amount will be Rs 500 ( as discount on each ticket is Rs 250). Customer will pay only Rs 100. This is an unbelievably awesome offer and you can save Rs.6000 with movie tickets Every year. However, i have no idea how many overall quota they have per day for this offer. I’ll update here if i happen to face any issues with it. Complementary Airport lounge access: Yes, through Visa Signature Lounge Access program. Also you get complimentary membership for Priority Pass, but no free access allowed via Priority Pass card. I’m more than happy to see SBI with such wonderful offers around. SBIcard appears to have one of most talented team with latest technology in place. Right from their website design to card usage, they’re one of the best in the industry i’ve seen so far. 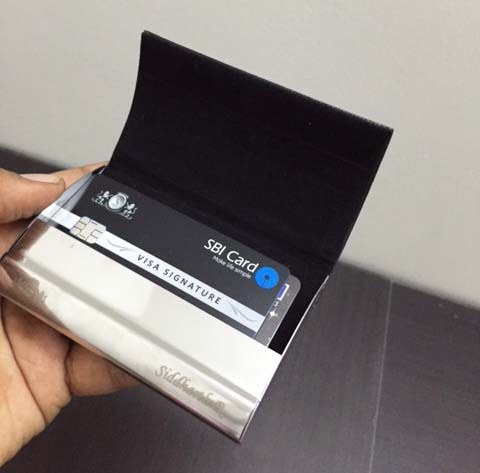 Do you hold SBI Signature Card or planning to get one? Drop your comments below! Thanks for one more grate review. Looking forward to more reviews from your side on Citibank, SCB and HSBC Cards. I am personally accumulated many cards over the year. I am having one query like, SBI Signature card is good for who are spending more than 5L in a year, but need to know will that much spend will bring the attention from IT department? Also I was reading on internet regarding Manufactured spend, maybe in upcoming posts you would to put one article on the same. As far as i know, 3-4 Lakhs is the safe limit (not declared anywhere though), anything above than that might put you on IT radar. However, if you have income source and if you’re a regular tax payer, it doesn’t matter how much ever you spend. Dear Siddarth very good analysis on cards and it’s very useful for us. I have applied for SBI Signature card today. One thing i want to clear thay counsel me that Airport lounge excess and services are free where you are telling excess only free not services (food). Please guide us. 1. With Priority Pass, you get only membership, visits are still chargeable with this card. Yes eaxctly, now a days we have wallets, in which we can load the money using credit card move those to bank account. But I am wondering will it consider as additional income? Few thousands wouldn’t be a problem. But not suggested in higher numbers. Some wallets charge % on transfer too & there are other monthly usage limits as well. Do you know of any other credit cards which offer bonus reward points on annual spends across all categories like the SBI Air India card? SBI Platinum too gives some spend bonus as gift vouchers. I already have sbi air India signature. Need another bank credit that offers bonus points on spends. Any recommendations? PLEASE DON’T OPT FOR SBI SIGNATURE CARD AND IF YOU OPT PLAY VERY CLEVER. Dear Friends while you are applying for SBI SIGNATURE CARD, Please do investigate the “5000 Rupees WELCOME GIFT” policy thoroughly. First understand that they don’t give you welcome gift for free – The Card Fee is INR 5000+Taxes which turns out to be INR.5700/- It’s been a month I paid my Annual Card Fee and my first bill and still they have not delivered my INR 5000 Welcome Voucher. Made a hell lot of effort with the customer care – Still no results. They Customer care will take 12 days to process your complain and after that they wont deliver you any satisfactory. I want to share with you when it comes to SBI Customer Care – You will be really dealing with the most unfriendly Customer Team. In nutshell I want to say Don’t Go for SBI CARD. The WORST CARD and WORST SERVICE EVER. The entire policy they have is Anti-Consumer. True, Joining fee is already mentioned on website. And yes, as i mentioned in the article, it takes close to 2 months to have hands on the welcome gift. If i happen to experience any delays, i’ll also keep the thread updated about the same. As annual fee is 5000 per year, do we get gift voucher every year? Or only welcome gift is for first year? Should be every year. That’s how most banks do. Still, do confirm with customer care. Gift voucher is definitely given on time only – for the 1st year. Thanks for Letting me know. Will update the post accordingly. I have a query. How the accelerated reward points work? I mean SBI signature card says you get 5x RP for spends on Grocery, departmental store, and dinning. Doest it also include loading e-cash wallet on merchants like Paytm? Doest it includes shopping through Flipkart, Amazone, Grofers, or big bazar/easy day? No, most of these are “online shopping” category for which SBI doesn’t have any great 5X RP offers. You can still avail big bonus milestones no matter where you spend. That’s the specialty of the card. Every merchant has a specific category declared when they apply for a card swiping machine. So, whenever u swipe your card at a merchant, the bank knows the type of merchant. E.g. If you are buying some electronics at a departmental store like big bazaar it will be treated as departmental spend. That’s how you can play around with such cards. Overall this is the best card I’ve used as of now even if u spend around 2-3 lacs. Is there a quota for movie tickets or can it be used anytime during the day? It can be used anytime during the day. I’ve used it couple of times and never had any issues with it. Do you know Which bank has most lenient income eligibility condition for visa signature credit card? I made a quick ( did not browse all the sites ) and random search and found out that union bank offers this card to anyone with an income of 5 LPA. Any bank which offers visa signature credit card to ( first preference ) 2.5 LPA or 2.5 to less than 5 LPA income holders? HDFC issues cards without any strict eligibility for savings a/c holders. For Signature card, you must have some decent balance in the a/c. I think most banks go by the cibil score of the applicant and ITR. Though ITR was never asked from me but then they take your PAN. Besides if you are regular in payment of your outstanding the Bank is likely to offer a better card and higher limit. if points can be redeemed against card statement? further if international spends are charged extra? 1. Yes, you can redeem points for cash credit. 2. Markup fees applicable, you also get bonus points for Intl spends on this card. Diners Rewardz(10X rewards) & SBI signature(Upto 5L spends) both would help. I am using this card as updated from gild card. Will share my experience when get 1st bill.. I crossed 1.50 lakh in 3 months , let see how they treat when I get my first bill. Is this card protected from fraud cover?? You have to call and block card in-case you miss it. You can also dispute transactions if not done by you. Its common with almost every credit card. i am travelling to Boston ( from mumbai) via Amsterdam on 25th July and will be returning by same route by end August. can i use airport lounge facility at mumbai and Amsterdam. do i have to book in advance? You can access at Mumbai with this card. But for International access you need Priority Pass card. Suggest you for Regalia in such requirement. Technically you should get 5X rewards for these, but do check with bank if they support these stores under the Dep. stores category. Hi, came across your site today and have read almost all CC articles. Appreciate all the reviews and research you have shared here. Thanks. This SBI Signature CC Review has prompted me to give it a go. But a couple of hiccups. Firstly, the joining fee can be null as there’s 5000 worth gift voucher. But this is just for the first year and nordoes it provide and renewal fee waiver option by spending certain amount. As given in certain other bank cards. Secondly, no complimentary lounge access. Just free membership. I already have the HDFC Regalia card and is pretty good with no renewal fee and lounge access,etc. Does it make sense to even look at his SBI signature card? Or should just wait for the Diner card or Infinia Card. I wonder if using different cards and cancelling after an year effect our credit history? Or any negatives of doing it? 1 yr of regular & minimal usage will help your score to gain. No negatives in it. I have SBI signature card. Airport lounge excess is only for card holder ? or family members (wife & children’s) are also allowed access free? Add-on card is allowed for Airport lounge excess ? Only for primary card holder. I Spoke to customer executives. One said access is allowed to primary and add on both, another executive told not allowed. I launched the complaint for wrong info. Further one of my senior is also having add-on and his son use the lounge access and there are no charges. Still not sure , I am fed up with SBI Signature customer care service. They are not transparent in resolving the query. Suddenly you will get message or e-mail in Inbox (Card log in) that it is resolved but what happened who knows ??? Further their respond to query is pathetic and take 15 days longer time which is really so slow in the world of Mangal Yaan. Further I would say that If you use a single card SBI Signature then it is beneficial, else it is not as good as others. I have using since last 4 years and going to close this time. thanks for the review. Any idea what is there is Rs 5000/- gift voucher? I took Jabong voucher, they have vouchers with few other brands too. Do they include walmart india in the 5x reward point scheme? Regalia Visa should be good in this case. Visa Sign has weekend movie offers. A call to customer care would do. Hello, even i have this query. Did yhis problem got resolved, can you please tell me the SEND number? How do we avail the welcome gift voucher? Contact Customer care, you need to wait for sometime after getting the card. You don’t need to pay any extra fees as long as u pay bills on time. Hi, can you tell me if SBI would issue a signature credit card against FD? If yes then how much do I have to deposit? Yes, they do. 1.25L minimum on FD, which will give you 1L limit. What if I make transaction worth 5Lac+ in first month itself. Will I get only 20,000 points or 50,000 points ? You’ll get all points. 50k. (first time) and give any discount or point on movies. Most HDFC Cards these days are given as lifetime free. Due to my best track record, Sbi offering me This Visa signature upfront. Almost 2-3 calls in a week. My doubt is after acceptance will they enhance my credit limit? Coz in past I have observed that even though customer has good track records paying bill well in time SBI has almost equal to zero pre approved offers for credit enhancement. My experience with customer care is not that good, even their call center number is also charging. So is it worth to opt? You can increase credit limit every 6 months using your IT or Pay slip, provided there is good usage too. 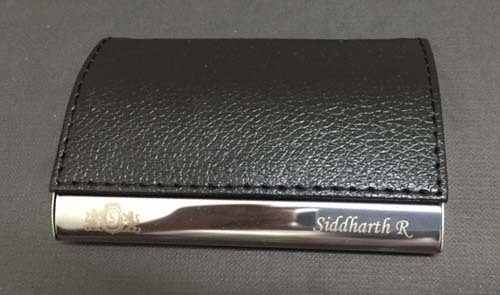 Also siddarth, i have question like is it very difficult to get Visa signature card, when applied normally? It highly depends on salary/income. Its not that tough as per my experience. I am holding an SBI platinum card from last 6 months and with this rate I think annual spend will be around 2.5 lakhs . They have given me a limit of only 45000 rs, how to increase it , and will it worth to upgrade it to SBI signature card because movie tickets looks attractive one. And if then how to upgrade it to SBI signature. After 6 months, you can try for Upgrade with new IT Docs. Yes, Movie Vouchers are very useful in Signature variant. U have to make fd and get 80% as limit. I got my sbi signature card approved and I receive a call from. Some fraud protection company. They inform me that my credit card application is approved and that I will receive shortly. They say that they have tie up with sbi card and they want to explain the benefits (they made it sound like they are offering a service for which the bank has tie up.) the person calling did not revels that it is a chargeable service. It means that sbi card is selling its customers data as soon as the card is approved. It is very unprofessional. U got this call as soon as the card is dispatched at Gurgaon.. I am very unhappy with this. And if this is how it works pretty scared with having the sbi card with me. Almost all card companies do this. Experiences same with HDFC even. Even I wanted to get this card but SBI exe. said Signature card is discontinued & insted Elite is the alternative. It’s being given still. Selectively. Got mine approved today. should i go for the Visa version or the Mastercard version of SBI credit card? Also, given the benefits of both HDFC and SBI, what would be an optimal split of usage / expenses between the two cards? Spend upto 5L on Visa Signature, then rest on regalia. How does one apply for this card? On sbicard.com or via referral? Is it mandatory to open an FD with SBI to get this card? Does having a homeloan with SBI help? FD not mandatory. As mentioned by other users, looks like SBI is no longer issuing this card, instead issuing “SBI Elite card”. Thanks for your reply. I am still clueless about the procedure for applying for either Signature or Elite cards. I am not sure applying it online is a good idea. No more signature cards issued these days. So Elite is the only option. Apply through a sales agent. Easier to track. My card upgraded to SBI simply save to SBI SIGNATURE. Plz lemme know about rewards points. Even you mentioned regular & accelerated rewards points, what’s the difference between these two??? I agree with some of the writers that sbi card customer care department is rather unfriendly. I had uploaded my KYC form and documents but they did not get them. I posted six times. Then they said the email address i was sending to was wrong but it was exactly the same as written in KYC form but they had not revised it. Then I sent by courier and still they said they did not get it. Finally I gave up. Unsure about recent changes, when i signed up, i was given Jabong voucher as option and hence opted for it. Yatra/Marks & Spencers is a good option too. can i get a signature card frrom sbi ?? They’re now issuing Elite card only. Yes, you can certainly get it. how do they decide limit if i have not yet filed any itr ? any idea on how much limit will i be able to get ? For any credit limit enhancement, they’ll ask for ITR, without which you can’t increase the limit. Hi Sidharth, it’s brilliant review, I was not using credit cards for 10 years but reading your SBI signature card review I was tempted to have one! Today I got the card . Signature card with cardholder enraged with my name. I am surprised the kit contain one welcome cover of signature Elite which says the annual fee of Rs 4999/- is waived off first year!!! I am little curious if it’s truly waived off or by mistake the signature elite cover letter came in. Few things I would like to know from you. a) Does the add on card get the privilege of airport lounge access under visa signature? B) how do we apply for priority pass c) does usage of credit card ( even on time payment) effect my CIBIL score as my current score 843. Thanks for the review, you are very brilliant. b) Just ask customer care. but you’ll be charged for visits. c) Yes, affects positively if used properly. Can you please tell us how you have applied for the credit card? I have been using premium cards from other providers for very long time never held any card with SBI but wanted to get this card after reading this review. Please share. I applied in branch. However this is no more available. but the closest one – Elite cards still there. 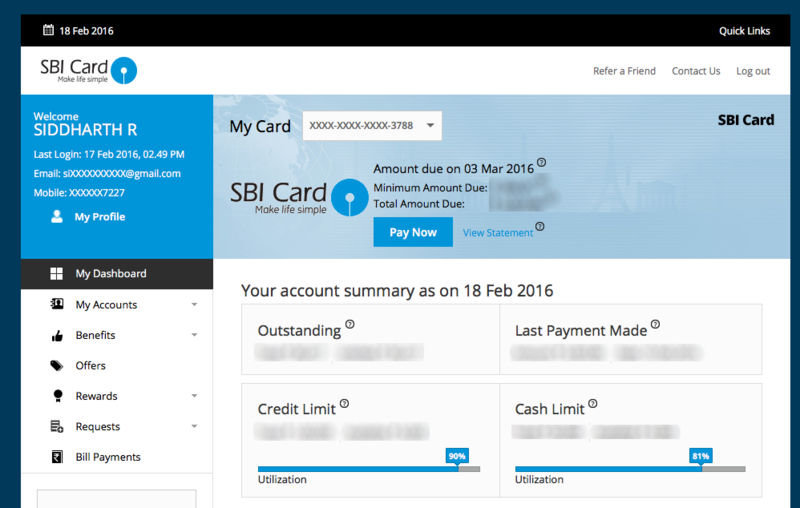 Could you give a rough idea what the income eligibility for these premium SBI cards might be like? I am specifically interested in the Platinum and the Elite/Signature. Does making a fixed deposit help in acceptance? I don’t think they’ve strict criteria if you’ve other bank premium card. I am using SBI signature card for 2 years and I second with your article. It’s really a nice card to add in wallet. However, I really like to know how to apply Priority Pass for Lounges access. Customer care have no option for such. Drop them an email and I’m sure they should be able to issue as its part of the card benefits. 20000 points = how much rs I will get? And how? Need basic information about points. And what is the most beneficial to redeem points? Cash or purchasing as per their products list. Better to go with cashback always. Since Signature card is discontinued, is there any other card provding same or higher RP & cashback facility? Yes, they’re now issuing Elite Signature cards. For cashback kind of card, only Elite is the best. I have a signature card. Did signature card have any annual fee waiver after 2nd year onwards? Yes on spend of 10L as Signature is now Elite card. Thanks for the quick reply. what was the limit earlier in signature card ? My annual salary is 20 L . My annual credit card spend is 10 L. I am interested in a card which will give me and my family airport lounge access at airports about twice every quarter. Which should be the best card for me ?? Have a look on below cards, i’ve reviewed these as well. All these cards can give lounge access not only to you, but also to add-on card holders. It gets added in first month statement. Can u suggest how to split the expenses between SCB Manhattan and SBI Visa Signature for maximum benefits(Reward/ Cashback wise). Also would like to have Reward Points to Cashback adjustable in the Card bill. Spend upto 8 Lakhs on the current Elite card and rest on other cards. simple as that. i just had a query that whether can i reedwm that voucher online or at shopping outlets..? i have NRE VISA Signature Credit card. the issue is, if i want to update the oversea address residential /office. The website is address change option is not allowing. it is forcing the customers to choose the city or pin code from the drop down list, which is having only Indian cities ( with some alien short names) and pin codes. Options always there to send the to email the customer care but i felt its pain taking. so they need to come up with solution to help NRE’s on this issue. My wife will be travelling alone . She has an add on card (I am the primary signature card holder). Will she be allowed on delhi airport lounge?? If yes, whts the procedure?? No, she won’t be allowed access. SBI Signature card is still available.. i applied for one today.. Moreover they promised me that the annual renewal fee will be waived off on spend of Rs 4-5 lakhs per annum..
1> Getting cash instead of that e voucher which are they giving as welcome gift. 2> Is this gift voucher will be given every year or once ,when you are applying for it. No, only gift voucher is given, only for first year, renewal can be negotiated with most CC issuers. OR we can ask them for 5k rs = 20,000 points ,and use them any where as deduction in any other bills. please do reply for the same. I am new to credit cards.. i donno anything about the reward points and how and where to redeem it.. it wud b nice of u if u cud plz brief abt how to get benefits frm cc..
DEAR SIR WHAT IS THE DIFFERENCE BETWEEN ADVANTAGE VARAINT OF THIS CARD AND NORMAL VARAINT ? CAN THIS CARD BE OBTAINED AGAINST FIXED DEPOSIT ? Yes, Advantage means FD based. a) is it applicable to add-on cards? Only for Primary card holder, can be booked for anyone. I Own a SBI Signature card. I was informed that when I spend more than 200K per year, my annual charges of 5K will be waived off. When I checked, they said, thats not the case.. When I try to cancel the card, they acepted but mentioned t hat I need to pay the 5K before I cancel..
Not sure What I need to do.. Such waiver is not mentioned anywhere on website either. Its not suggested to cancel. Better use it for an year and then cancel. which card can you prefer i want to get same rewards points which are on existing credit card. but im loosing 5 reward points there. when i browse the site its showing 5X Rewards points , can i know wat its mean exactly. Hi, Please clarify me annual spends, year starts from the card activation date to 1 year or it is financial based? Sbi cards one of the very worst services from other banks cards servies . NEVER EVER PURCHASE ANY SBI CREDIT CARD. THEY HAVE WORST SERVICE EVER. THEY HAVE NO RESPECT FOR THEIR CUSTOMERS. ALL THEIR PROMISES ARE TOTALLY FAKE WITH NO FEATURES. IF YOU CLOSE THE CARD WITH FULL AND FINAL PAYMENT WITH ALL DUES, STILL THEY FORCE YOU TO MAKE PAYMENTS VIA SMS AND EMAILS AND EACH TIME THE AMOUNT WILL GET INCREASE. THEY WILL NOT EN CASH YOUR REWARD POINTS ONCE YOU CLOSE OR BLOCK THE CARD. When i was allotted this card, i was informed by the executive that i need to spend 70000 on this card so that annual fee will be waived. But I have been charged with annual fee in this statement. I have other 2 lifetime free credit cards from Different banks, I am not seeing any point continuing with this card with fees even after spending these many. You are changing the rules as per your convenience, I tried speaking to your executive over the call but no proper response was provided from your side. Share the process to terminate the card.